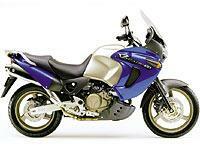 Honda’s Varadero will get fuel injection later this year. The new model’s styling is set to remain unchanged, but the revamped motor should perform a little more efficiently. The move has been prompted by European emissions laws, due in 2003, which carburated bikes may struggle to pass. Since it shares the same engine, the FireStorm is likely to get the same treatment.